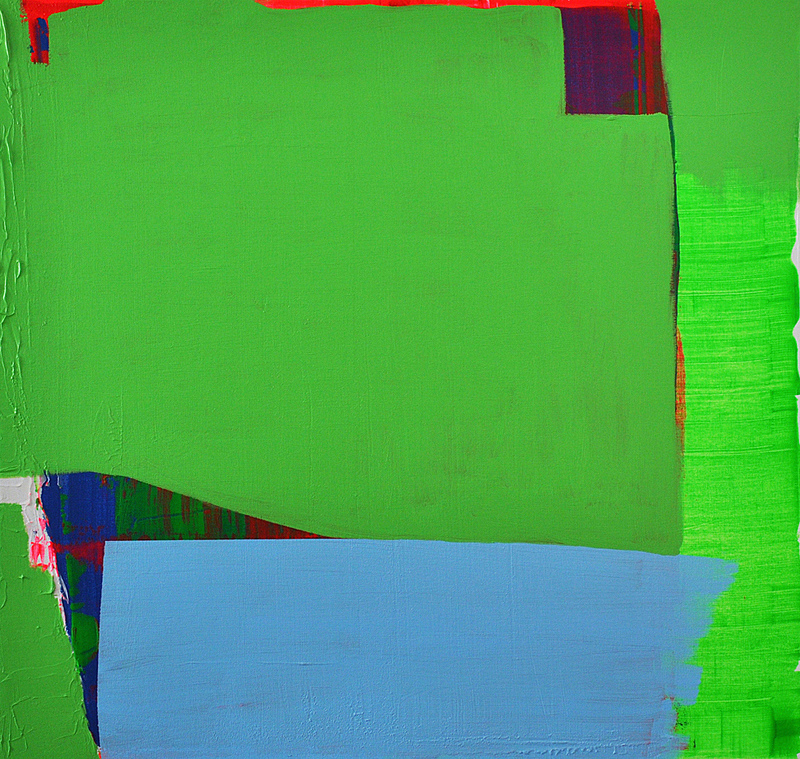 Die Blaue Brucke, 2011, acrylic on canvas, 44 x 42 in. 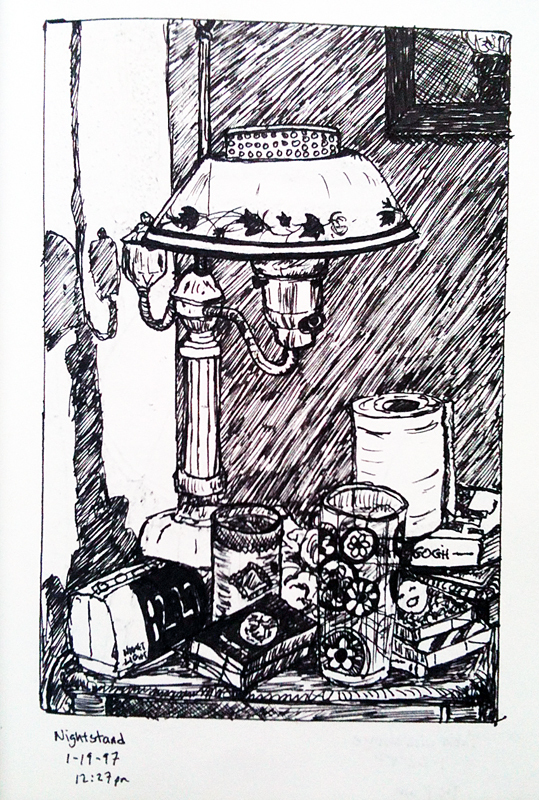 Nightstand, 1997, pen on paper, 7 x 5 in. I have been painting in a non-objective vein for the last thirteen years. The paintings are begun with no idea of how they will evolve. Each application of color or mark made leads to the next and this process driven approach is alternated with periods of intense looking until a satisfying result is found. The sketchbook drawings have been a part of my practice for much longer. These are quick, direct responses to my life and environment as they are before me. Although the drawings originally began as studies for small oil paintings I quickly realized that the art was in the drawing and the observing and not in the faithful translation of the drawing into paint.